Taccia is a lamp which still today holds its own charm, featuring a refined and versatile style, designed in 1962 by Piergiacomo and Achille Castiglioni. Flos was founded in 1962, specialized in high quality and Made in Italy design. 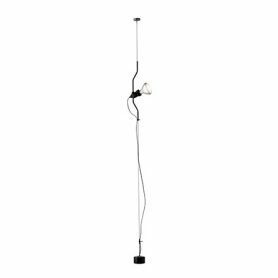 Parentesi by Flos is a floor-ceiling lamp, featuring a versatile and elegant design, a design icon designed by Achille Castiglioni and Pio. Flos is an Italian company famous all over the world that produces lighting since 1962. 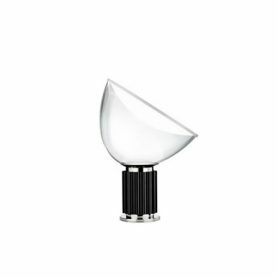 Taccia Small is a lamp which still today holds its own charm, featuring a refined and versatile style, designed in 1962 by Piergiacomo and Achille Castiglioni. 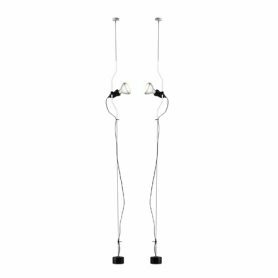 Flos was founded in 1962, specialized in high quality and Made in Italy design. 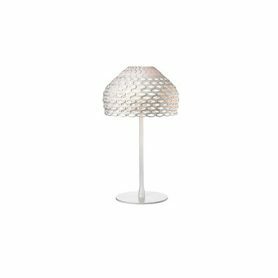 Miss Sissi by Flos is a design table lamp made of plastic material through special injection molding. 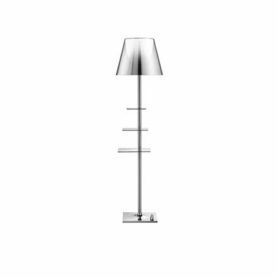 The shape of a classic lamp and mini size, it is perfect for the bedside tables of your bedroom or on the tables of your living room. 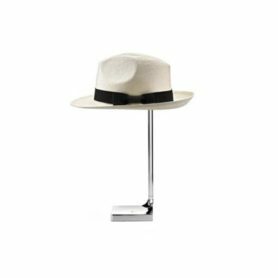 It was designed by Philippe Starck and feature a modern and essential design. Flos is an Italian company famous all over the world that produces lighting since 1962. 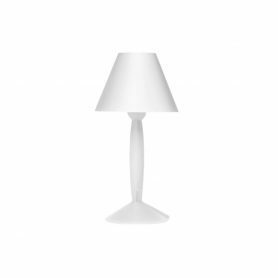 Tatou Table by Flos is a table lamp with an original decorated diffuser. 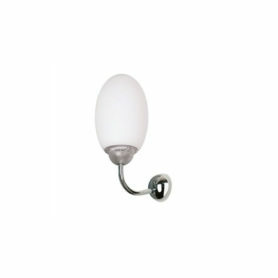 It emits a diffused light and is ideal for furnishing your bedroom or a living room. It has a classic but modern design and was designed by the famous Spanish designer Patricia Urquiola. 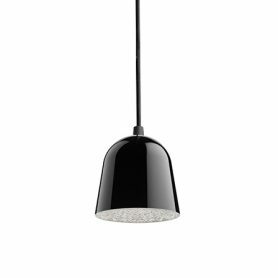 Flos is an Italian company that produces lighting items since 1962. The Brera W lamp is a unique and contemporary creation, designed by Achille Castiglioni for Flos. Flos is an international company founded in 1962, featuring high quality Made in Italy design. Butterfly is a refined and timeless design object, designed by Afra and Tobia Scarpa, (1985), for Flos. Flos is an international company offering a range of products, both creative and innovative. 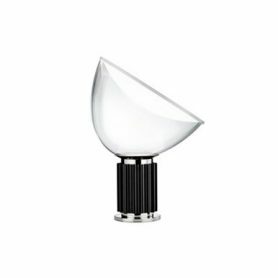 All Light Closed is a contemporary and sophisticated lamp designed in 2002 by Rodolfo Dordoni, suitable for indoor and outdoor use. 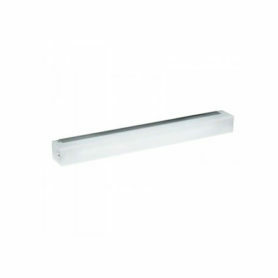 Flos is an international company founded in 1962, featuring high quality Made in Italy design. 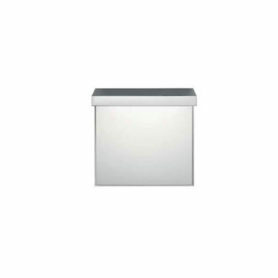 Hide Small is a contemporary and essential wall lamp, designed by Philippe Starck. Its elegance and contemporary touch make it ideal for any living area of your home. 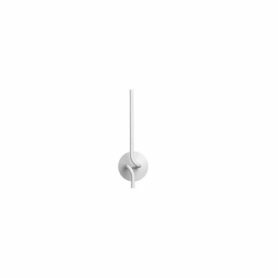 Flos is an international company founded in 1962, featuring high quality Made in Italy design. Lightspring by Flos is the contemporary elaboration of the candelabra, combining elegance and essentiality with the high luminous power of the power LEDs. The result is a wall lamp that recalls the candlesticks of the past, revisited through a modern and innovative design. 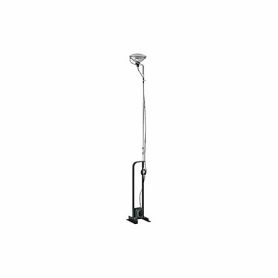 Bibliotheque Nationale is a floor lamp designed by Philippe Starck for Flos. It is a multifunctional and hi-tech product that combines the characteristics of a lamp with the functionality of a bookshelf. The books can in fact be placed on the small stainless steel shelves on the sides of the central shaft. Flos is an Italian company that produces iconic and innovative lamps. 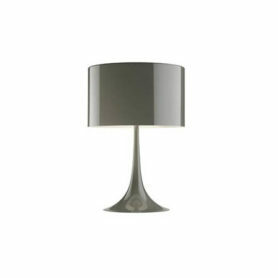 Goldman is a table lamp, designed to make your desk a small design world by Ron Gilad for Flos. 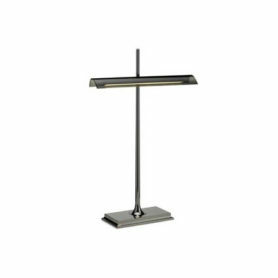 Flos is an international company founded in 1962, featuring high quality Made in Italy design. The Spun Light lamps features an essential style and high technology, ideal for any living area. Flos is an international company founded in 1962, featuring high quality Made in Italy design. Uno dei pezzi più celebri del design e del made in Italy, parte della produzione continuativa di Flos dal 1962. Tra i suoi punti di forza sicuramente il rigore delle linee e l’uso attento dei materiali. Posizionabile ovunque, in qualunque ambiente. Il concetto è tanto semplice quanto geniale: un diffusore orientabile in metallo cromato, un arco in acciaio di lunghezza regolabile ed una base in marmo di Carrara. 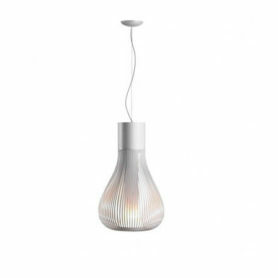 The Chapo lamp is a contemporary and playful creation designed by Philippe Starck. Flos is an international company founded in 1962, featuring high quality Made in Italy design. 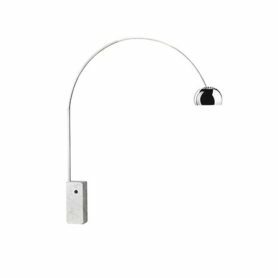 Parentesi by Flos is a floor-ceiling lamp, featuring a versatile and elegant design, a design icon designed by Achille Castiglioni and Pio. Flos is a Made in Italy company specialized in the design lighting since 1962. 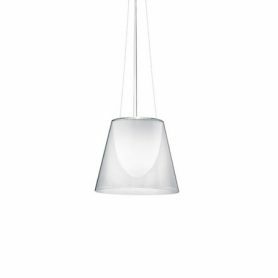 A beautiful illusion from award-winning designer Patricia Urquiola, the Chasen pendant lamp enchants with an unexpected presentation of diffused light. Flos is an international company founded in 1962, featuring high quality Made in Italy design.